Our personalised service will assure you, like it does all our clients, that your investments is being managed to the highest standards and that any issues that may arise will be dealt with in a timely, professional and cost effective manner. Carry out inspections of the property at least every 4 months. Note the readings on the electricity & water/utility meters. Carry out an inspection of the property (noting any visible changes from the initial condition). Photograph the interior and exterior of the property. Check the inventory of the contents of the property. Invite tenant to include their observations on the inventory/condition of the property/the readings from the utility meters. Assess the extent of repairs/maintenance work necessary and advise client accordingly. Calculate the amount, if any, of the security deposit to be deducted to cover breaches of the tenancy and appraise Client. We market your property and contact any potential tenants on our database, we will also contact relocation companies who we deal with on a regular basis. Achieving maximum market rents, maximum occupational rates and a high calibre tenant for our clients is a core ethos of Just Property. Detailed tenant screening to insure quality of character. Photograph the interior and exterior of the property for the purpose of establishing its condition. 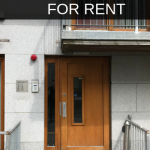 Market and advertise the property as Premium Ad on Daft.ie, Rent.ie and Just-Property.ie. Viewers will see your property details online at the top of the area listings 24/7,and viewings can be conducted by appointment between 8am to 8pm Monday to Friday and 9am to 5pm on weekends. Our agents are professionally trained to focus on the key selling points of your property in a friendly professional manner. It is the agent’s job to be completely familiar with all aspects of your property, as well as the area including all local amenities such as schools, Parks, Shopping, Transport Links etc. Just Property will collect the first month’s rent and deposit on your behalf. If the property is managed by us we will monitor payments and collect the rent each month on your behalf and forward directly to your account. Preparation and implementation of Residential Tenancy Agreement. Preparation and implementation of Property Service Provider Agreement. Supply a copy of the inventory with the lease to the tenant. Get tenant to acknowledge accuracy of inventory. Read electricity & water meters and transfer those utilities into the tenant’s name. Notify the tenant of waste disposal arrangements. Notify the tenant of the arrangements for services such as broadband, telephone, television. Notify the tenant of contact details for repairs and maintenance. Notify the tenant of arrangements for rent payment. Register the tenancy with the Private Residential Tenancies Board on behalf of the Client. Under the Residential Tenancies Act, rent reviews cannot take place more frequently than annually unless there has been a substantial change in the nature of the accommodation. With this in mind, our experienced and skilled negotiators ensure that the maximum rental income is achieved for investors. The Irish Rental Price Report Q3 2018 shows that Rental prices in Dublin increased by 10.9% year-on-year which cause that the National Rents are 30% higher than their 2008 peak. 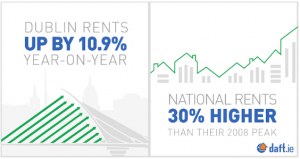 The reason behind the rental price rise is demand exceed far supply. At Just Property our Landlord Service is second to none. Established to cater for the residential pension & investment market, we offer the highest level of professionalism and attention to detail to ensure the return on investment is maximised. Landlords / Investors are not involved in day to day issues and our service is 24/7/365. Achieving a high caliber tenant for our clients is a core ethos of Just Property. Prospective tenants are vigorously screened and references are secured to ensure good character and ability to pay. 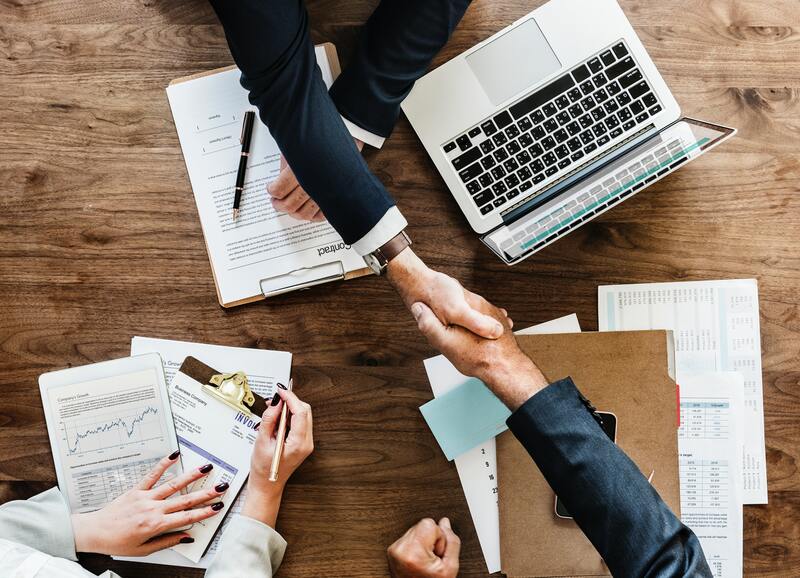 Our personalised service assures our clients that their investments are being managed to the highest standards and that any issues that may arise will be dealt with in a timely, professional and cost effective manner. Rental space is sold as opposed to just rented, we sell the benefits of the property and the amenities close to the location. We ensure that there is no contact between investor and tenant. BERs are arranged where necessary. Address: 24 Thorncastle Street, Ringsend, Dublin 4. Please call (not text) from an unblocked number.